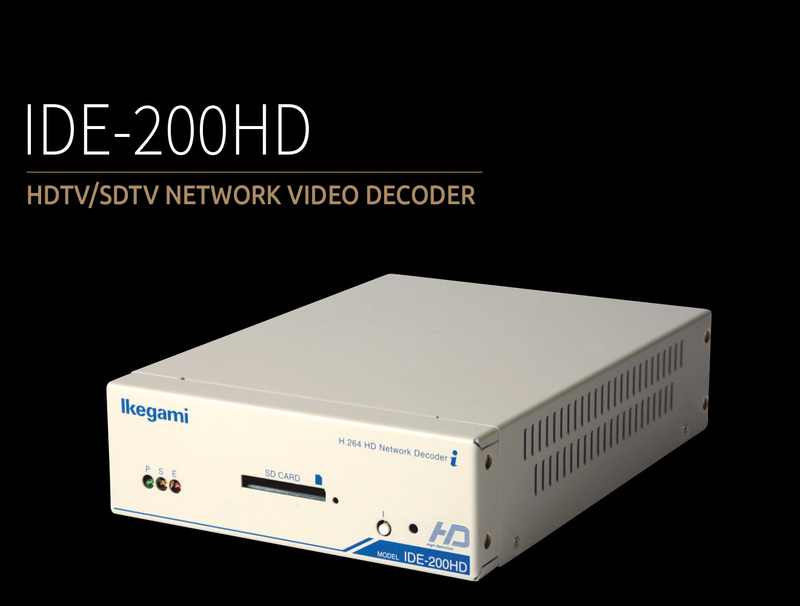 The IEN-200HD/IDE-200HD are the Stand Alone PoE Network Video Codec’s from Ikegami, which deliver high quality video utilizing the highly efficient H.264 compression format. The IEN-200HD encoder and IDE-200HD decoder support up to 1920x1080 Full-HD image size. Support up to Full High Definition (1920×1080) video format including 1280×720, 720×480 and 720×575 format. High Definition, 1080i, 720p; SD 480i format support. Full frame rate video in all resolutions. An SD card slot interface for on-board recording.